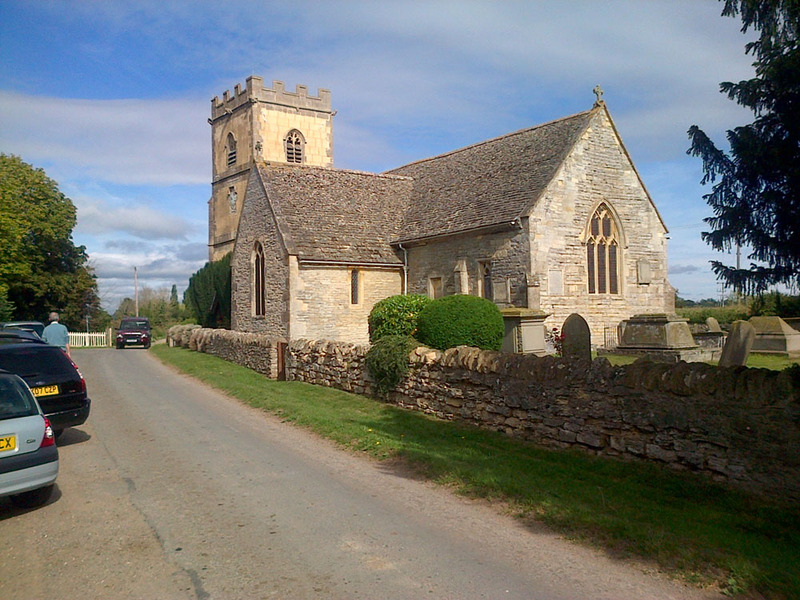 The Parish church of St. Catherine, a grade 1 listed building, has stood in the rural hamlet of The Leigh since 1225. The foundations may well date as far back as 750. It has a bell tower of 6 bells which are regularly rung by a keen team of bell ringers. A dedicated area of the churchyard was given over to be a memorial garden in 2005. As the organ was failing it was decided to replace it with an electric instrument. When the pipe organ was dismantled a frieze was uncovered behind the organ, thought to date to before Victorian times when the pipe organ was installed. The chancel and nave were redecorated in 2007 at which time some pews were replaced with chairs, keeping the very oldest pews. The heating had to be updated as it had been under pew heaters, electric heaters are now the main source of heating. A quinquennial report noted that the exterior wall of the side chapel was becoming detached from the church, all resolved following lots of fundraising. The last and biggest project at St Catherine’s has been the raising of the ringing floor and installation of toilet and small kitchen. With the help of a grant and generous donations from many people the work was completed in 2010. This extra facility has enabled the church to be a venue for many events. The church can be re-arranged in minutes. 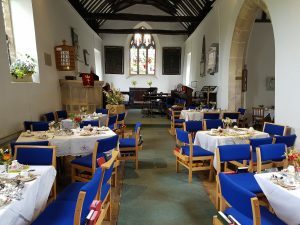 Meetings, concerts, Messy Church, meals, and fundraising events are held regularly. The church has also seen a weekend conference for a Youth Group. The church is open during the daytime for visitors to enjoy the quiet atmosphere of a country church.